Huayna Picchu or Waynapicchu? Anyone, is the mountain that appears behind the marvel in the classic images of Machu Picchu; is the best experience you can have in the Inca city of Machu Picchu and considered one of the best short hikes in the world. How is this written? Huayna Picchu, Waynapicchu or Wayna Picchu? In fact Huayna Picchu, Waynapicchu or Wayna Picchu, are correct. In most places on the internet you will find Huayna Picchu, in Cusco and in the mountain you will find more like Waynapicchu, and in a few places you can also read Wayna Picchu. This seems to be possible because the Quechua of the Incas did not have a script as such, so the word is now written in many ways, but all are pronounced Same. How is the mountain Huayna Picchu / Waynapicchu / Wayna Picchu? You should know that the Huayna Picchu mountain, popularly known as the “huayna”, is the best experience you can have in the Inca city of Machu Picchu. It is a mountain covered with vegetation with trails built between the mountain walls and cliffs hundreds of meters from the ground, these will take you to the top of the mountain. At the summit of “huayna” you can enjoy the best aerial views of the Inca city, and if you decide to descend the stairs of death you can find one of the most beautiful temples of Machu Picchu; the temple of the moon was built inside a natural cave and the carved inside is incredibly detailed. Some scholars believe that it is an astronomical observatory because of its location on the top of the mountain. There are 400 tickets available to enter the “huayna” and have to be booked two months before your visit to get one. We recommend you plan this trip 4 months earlier. Then you can check the availability of the ticket Machu Picchu. It is possible that it is best time to hike to the mountains of Machu Picchu during the dry season; but if you plan to come to Machu Picchu during the rainy season, avoid the mountain Huayna Picchu during the month of February, unless of course, to consider yourself an experienced mountaineer. 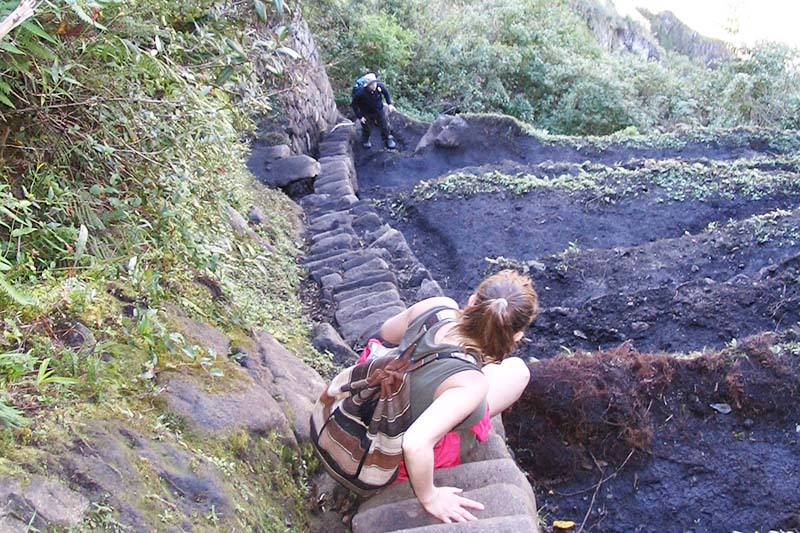 The Huayna Picchu mountain trails can be very slippery when wet and you have to remember that they are hundreds of feet off the ground. If you are afraid of heights we recommend not to enter the mountain Huayna Picchu, many parts in the path can be completely intimidating if you suffer from vertigo. If you do not book train tickets in advance, you may not be able to reach Machu Picchu and therefore you will not arrive at Huayna Picchu Mountain. That’s why we always recommend buying train tickets immediately after booking Huayna Picchu tickets. If you are interested in taking care of your entire itinerary, please contact us at info@boletomachupicchu.com. 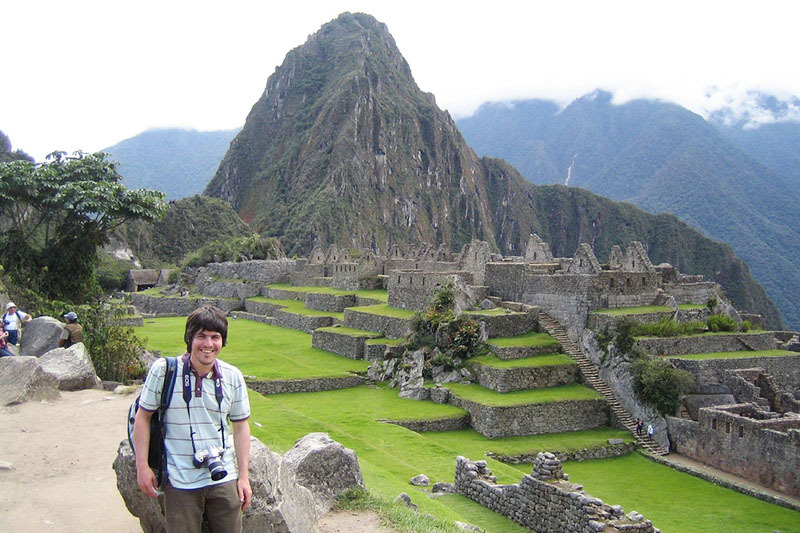 ← In what month of the year is it better to visit Machu Picchu?